The lawsuit against the Wanaque Center alleges that unsanitary practices lead the contagious disease to spread. 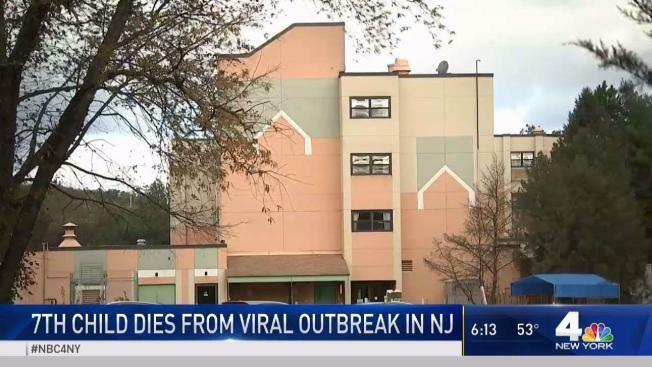 The mother of a teenage boy who was sickened in the adenovirus outbreak that has killed 10 children at a long-term care center in New Jersey sued the facility's owners and management Wednesday, claiming that unsanitary practices lead the contagious disease to spread. In the lawsuit, Paula Costigan says her son, William DelGrosso, contracted the virus because of the “gross negligence, recklessness and carelessness, lack of skills and deviations from accepted medical, nursing and long-term care facility standards” from staff members at the Wanaque Center for Nursing and Rehabilitation in Haskell, Passaic County. The Wanaque Center has, to date, 30 individuals, mostly kids with the exception of one worker, who were confirmed to have contracted the virus — a virus health officials have been tracking since the outbreak. Ten children have died so far. The CDC says, adenoviruses are typically spread from an infected person to others through: close personal contact such touching or shaking hands; through the air by coughing and sneezing; or by touching an object or surface with adenoviruses on it, then touching your mouth, nose, or eyes before washing your hands. According to the lawsuit, William, who is 15, has been a patient of the Pediatric Center within the facility since 2015. His condition worsened resulting in his transfer to Hackensack University Medical Center a week later "in critical and life-threatening condition," the suit says. Costigan critizes the facility's management for not informing her of the outbreak until she received a letter 11 days after her son developed the high fever. The suit also alleges the use of medication syringes in an unsanitary manner and the failure to use germicide wipes to disinfect surfaces — deficiencies discovered during a May 2017 inspection. Another inspection found a lack of sanitizing medication trays between each patient’s use among other infractions. The suit is seeking damages against the defendants and cost of the suit. A spokesman for Wanaque Center did not immediately respond to NBC 4's request for comment. News broke over the weekend that a 10th child died at the Wanaque Center for Nursing and Rehabilitation in Passaic County, the epicenter of an adenovirus outbreak that has killed and sickened dozens of kids in recent weeks. The latest child to succumb to adenovirus was among the 25 kids health officials have been tracking since the outbreak. Adenovirus is a family of viruses that can otherwise cause mild illness, but this outbreak has been described as "severe." The state’s Department of Health said it was informed of the outbreak on Oct. 9. State health officials later found handwashing discrepancies. The Wanaque center has been told not to admit any new patients until the outbreak ends and they are in full compliance. It also established a 24/7 hotline for families impacted by what the state's health chief has called a "tragic" outbreak. 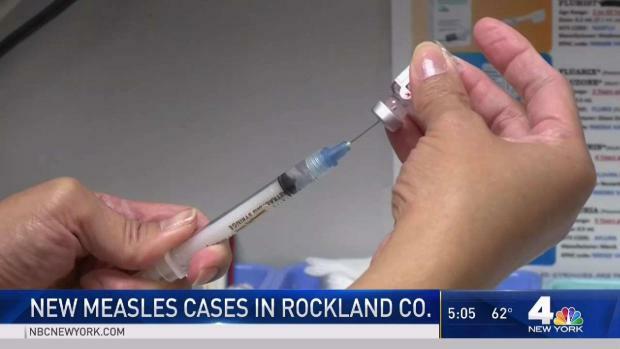 In Rockland County, New York, there are 40 confirmed cases of the measles as of Wednesday. Eleven other cases are being investigated. Rana Novini with the latest. The facility has been instructed by the state's Department of Health not to admit any new patients until the outbreak ends and they are in full compliance. “This is a tragic situation, and our thoughts are with the families who are grieving right now,” Health Commissioner Shereef Elnahal said over the weekend. "We are working every day to ensure all infection control protocols are continuously followed and closely monitoring the situation at the facility." New Jersey's Department of Health announced earlier this week the deployment of a team of infection control experts and epidemiologists to five pediatric facilities, one of which has seen 10 child deaths reported this month amid a severe viral outbreak. Another facility on the team’s list is University Hospital, where a possible bacterial infection in the neonatal intensive care unit may have contributed to the death of an infant. That baby had compounding medical issues, though, so a cause of death remains under investigation. The other three facilities include Voorhees Pediatric Facility in Voorhees and Children’s Specialized Hospital locations in Toms River and Mountainside. The health department reached out to each of the five last week to schedule visits for November, officials said. The specialized multi-disciplinary team conducts voluntary, non-regulatory assessments of infection prevention practices and takes a collaborative approach to highlight and share what facilities are doing well and identify opportunities to improve, according to a news release. The assessments focus on prevention of health facility-acquired infections and breaches of infection control through adherence to best practices and state and federal requirements.